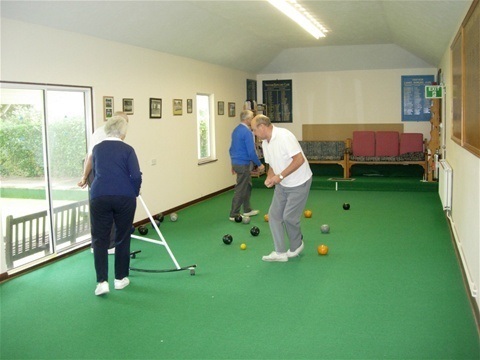 Our full-length, heated, INDOOR rink, open throughout the Winter, is ideal for beginners to learn the rudiments of lawn bowls. Sessions are held on Monday evenings from 7pm to 9pm and cost just £2 (to cover the heating and lighting). The first night is free and all equipment is provided, even shoes, although most people prefer to bring their own trainers or similar flat-soled shoes. New learners can start at any stage of the season - you don't have to be in at the beginning! We will be pleased to welcome any new bowlers to our 2017/8 INDOOR sessions at any time from January to March - times may vary due to demand.
" 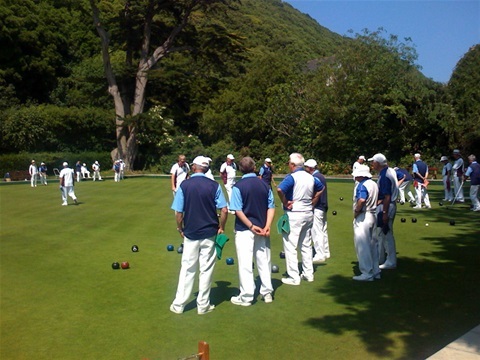 WHY NOT COME ALONG AND MAKE NEW FRIENDS AND LEARN NEW SKILLS AT VENTNOR BOWLING CLUB"
Remember - Bowls is a young person's game, usually played by old people! 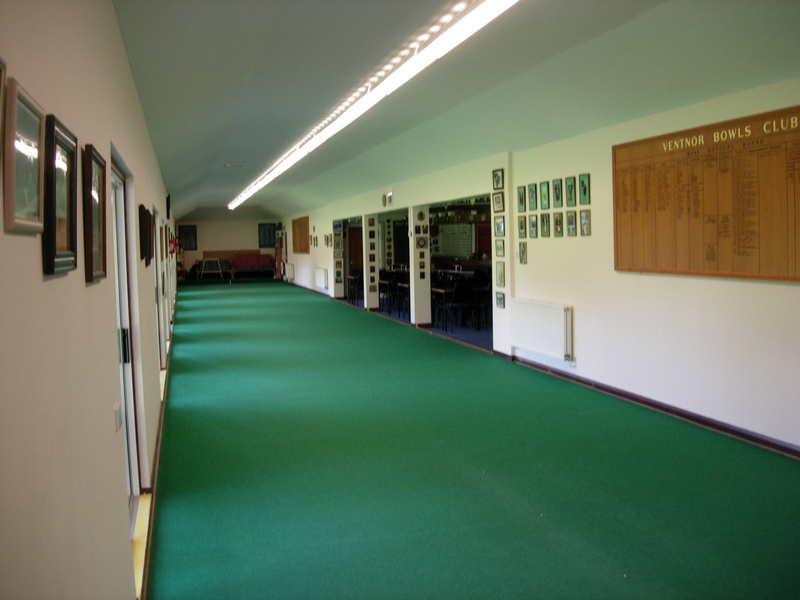 IN ADDITION to our INDOOR sessions, we invite anyone who is interested in taking up Lawn Bowls as a hobby and has missed the indoor sessions, to come along to our OUTDOOR sessions which will be incorporated into the Wednesday morning roll-up and practice sessions, starting at 10am from early May, to mid - September (weather permitting). For more information phone COLIN BEAVIS on 01983 854642 or email info@ventnorbowlingclub.com or just turn up on any Monday evening and ring the door bell between October and March. The Bowling Club is situated in Mitchell Avenue, Ventnor on the B3327 Ventnor to Newport road. Southern Vectis Bus service 3 stops right outside the door. For more detailed directions click Where are we?